Grape seed extract is rich in flavonoids, substances with antioxidant properties that help protect the body from attacks by free radicals. These substances are also beneficial to blood flow, which is fundamental for a well-functioning body. 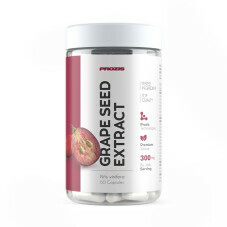 Consuming grape seed extract helps reduce inflammations and stimulate blood flow, particularly beneficial for people suffering from venous insufficiency and/or edemas.